For the first townland of the New Year, I’m in Ballyaltikilligan. This is a rural townland above the northwest edge of the town of Comber. 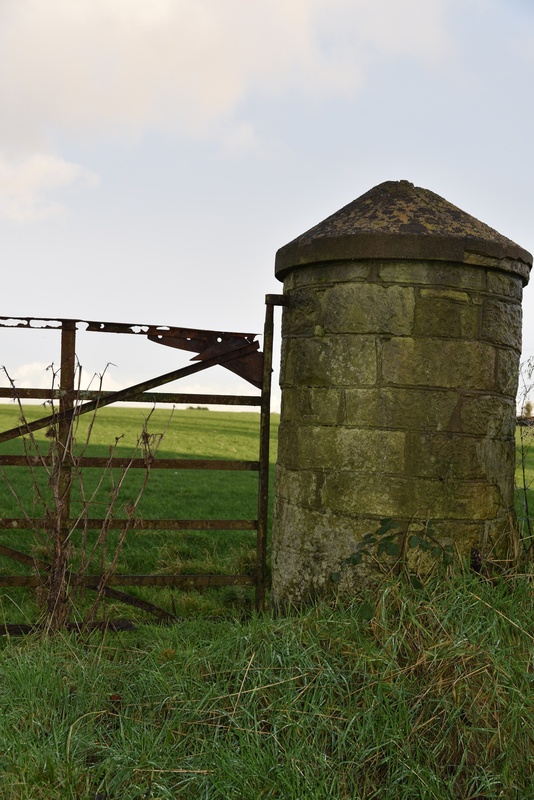 I haven’t lost my interest in fences and gates (as first highlighted in my post on Ballynichol) and I’m pleased to report that Ballyaltikilligan has both new gates (as shown above) and old (as shown in the next image). 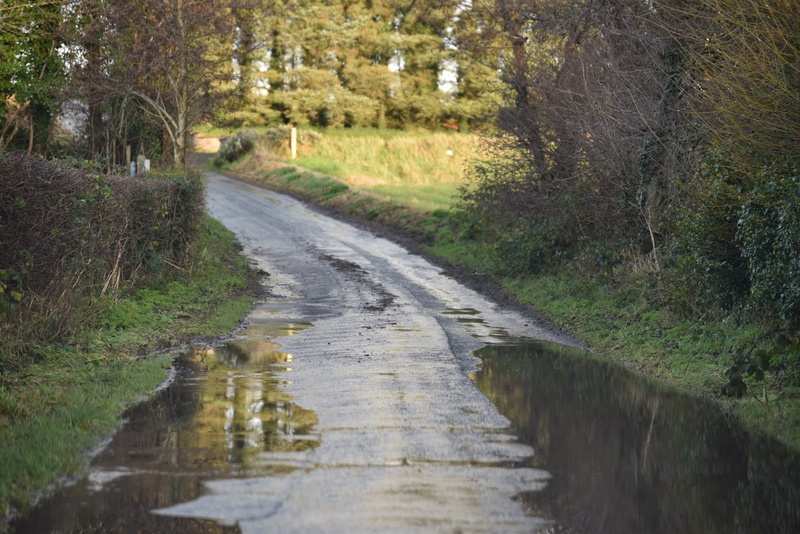 Two roads lead across the townland – the Glen Road and the Coach Road. The Gransha River forms the boundary to the west. In my photos I try to show Northern Ireland in the best light, but I can’t pretend forever that we only have sunny days. 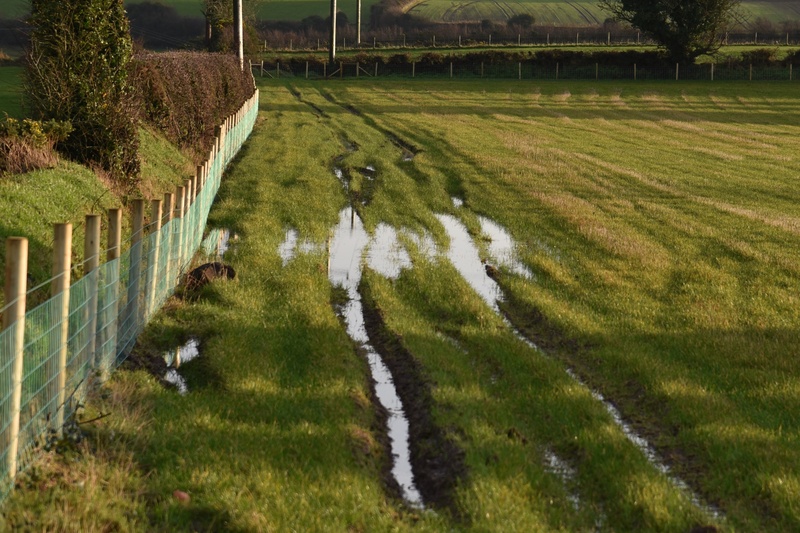 The end of 2015 brought a lot of rain to Ballyaltikilligan’s fields and on to the Coach Road. The name Ballyaltikilligan may be derived from the Irish Baile Allt Cille Aodháin meaning “townland of the glen of Aodan’s church”, and the PLACENAMESNI website mentions reports of the remains of a church being there until the 18th century. 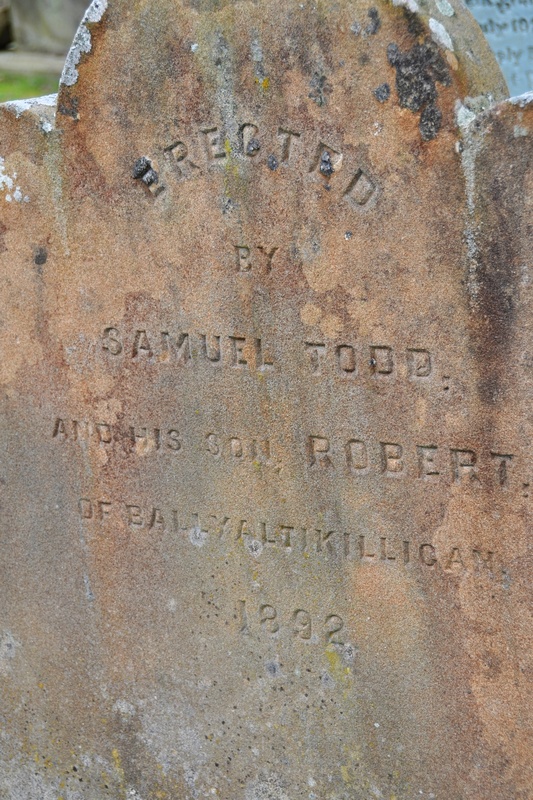 Now the nearest churches and graveyards are in the town of Comber, where I found this Ballyaltikilligan gravestone from 1892 for the Todd family. This is the townland where my paternal grandmother Elizabeth Brown was born. 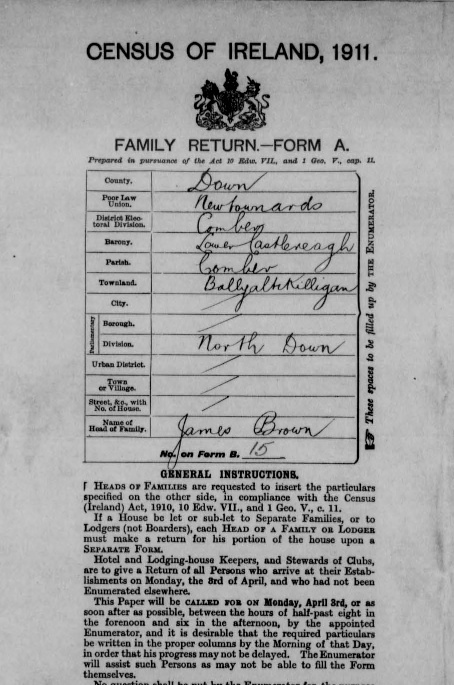 My great-grandfather James Brown was the “head of family” when the census was taken in 1911. 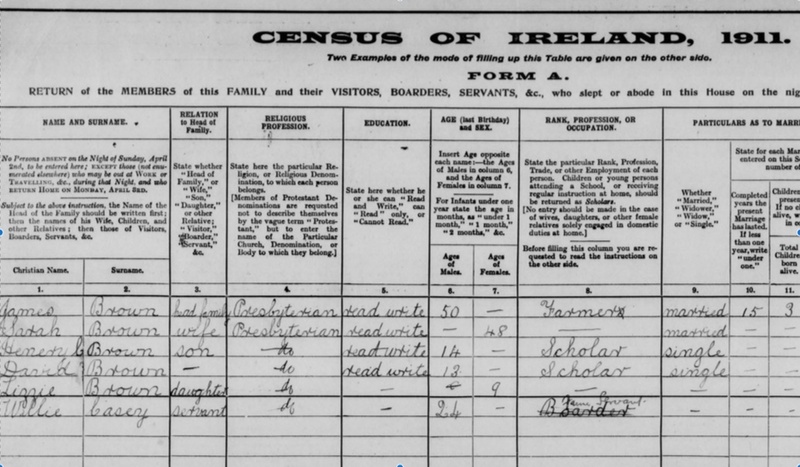 My grandmother is recorded on the census form as a nine-year-old girl called Lizzie. She went on to marry John Cooper and move all the way to Ballyoran (two miles at most), where she lived until her death in 1991. The Comber Historical Society has published some fascinating pages on its website, with all the local news from “Comber in the 1830s” through to “Comber in the 1940s”. One name from the 1920s section looked very familiar. Could the Henry Brown from this story be my grandmother’s older brother? If so, he had a lucky escape from a motorbike crash in 1926, when he was 29. By the date of the accident, Henry Brown and his wife Eva already had three children, and they went on to have six more. 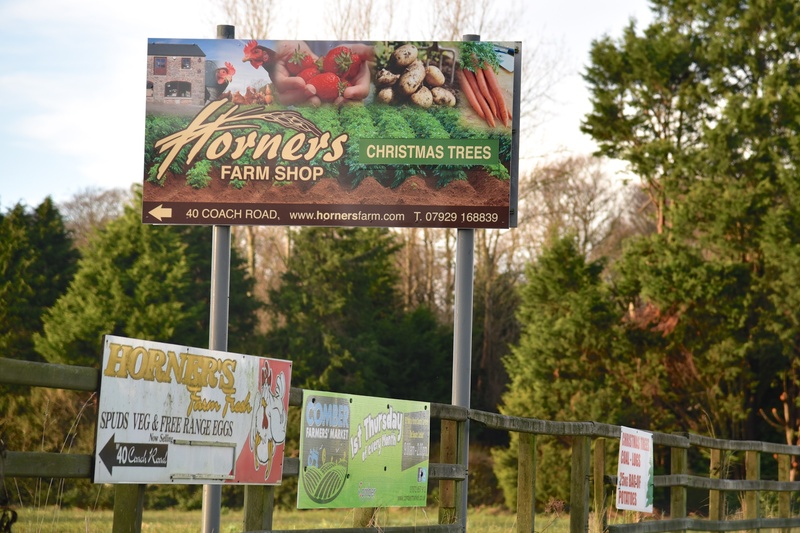 Close to the Brown family home was, and still is, a farm belonging to the Horner family. 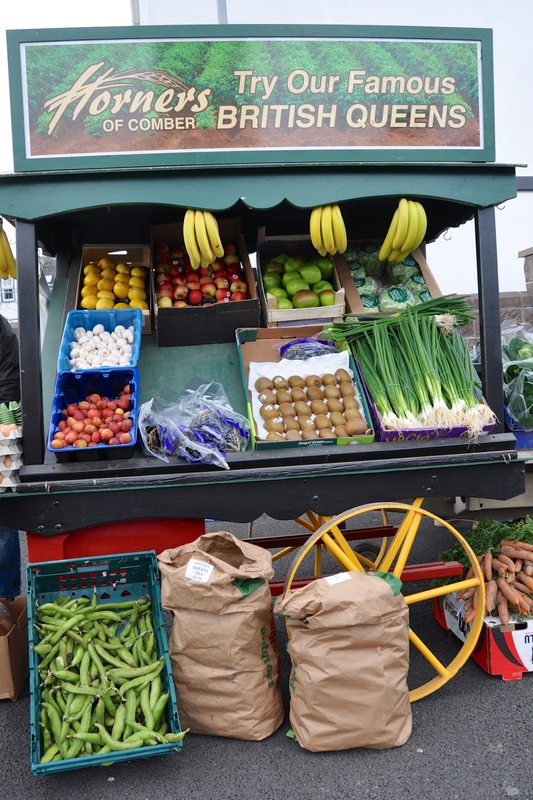 They sell potatoes and other produce from their farm shop. 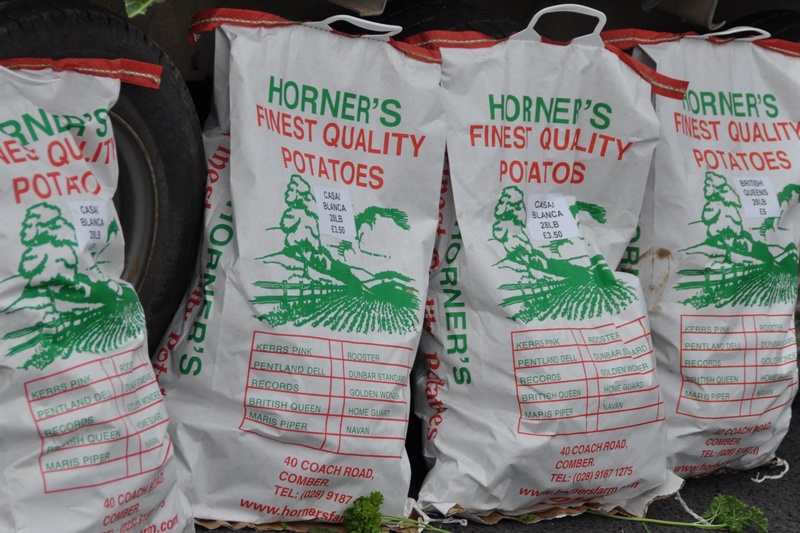 Their market stall at Comber Farmers Market sells great vegetables, especially potatoes…. …..but it’s hard to believe that the soil of Ballyaltikilligan actually produces kiwi fruit and bananas. 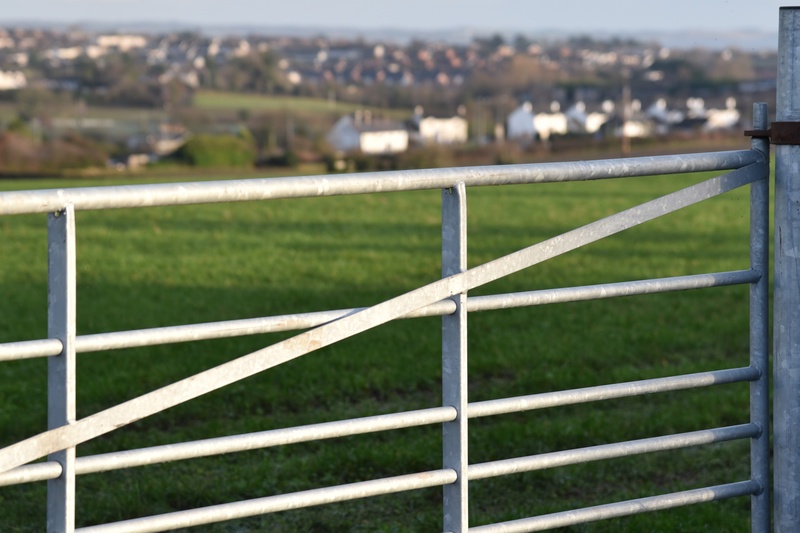 Which townlands border Ballyaltikilligan? Clockwise from the north, Ballyloughan, Town Parks of Comber, Trooperfield, Ballymalady, Gransha, and Ballystockart. Click here for a link to a 19th century map of Ballyaltikilligan on the website of Ordnance Survey Ireland. Click here for a map of Ballyaltikilligan on Townlands.IE. Which civil parish is Ballyaltikilligan in? Comber. Click here for a hand-drawn map of the townlands in and around Comber, produced by Ros Davies.